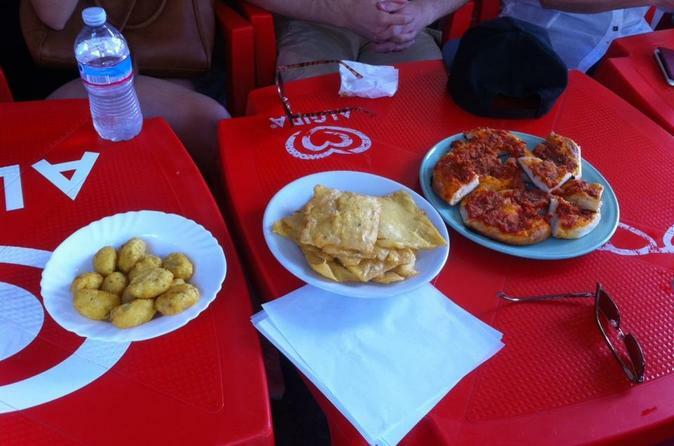 Bite into delicious Sicilian snacks on a 3- or 4-hour small-group food tour around Palermo. 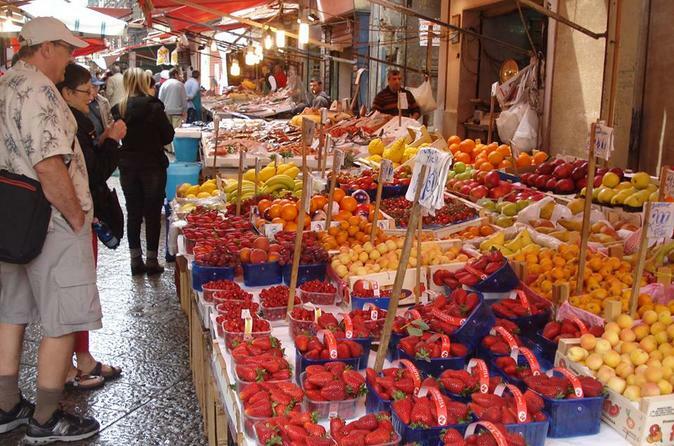 Accompanied by a local guide, take a journey through the city’s gastronomic landscape, exploring culinary haunts such as Vucciria Market and Mercato di Capo. See top attractions, including Teatro Massimo and and Piazza Pretoria, along the way. Taste five Sicilian specialties, such as ‘arancine’ (stuffed rice balls) and ‘panelle’ (chickpea fritters), as well as a local wine and seasonal dessert. This small-group tour is limited to 12 participants, ensuring you enjoy personalized attention. 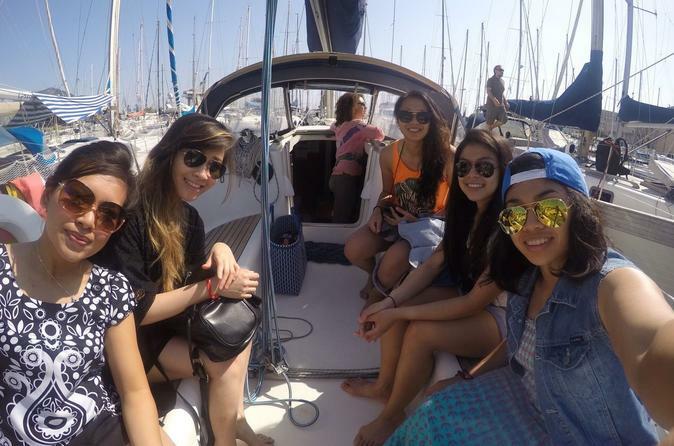 While in port in Palermo, spend your time enjoying the perfect do-it-yourself shore excursion in this beautiful city. 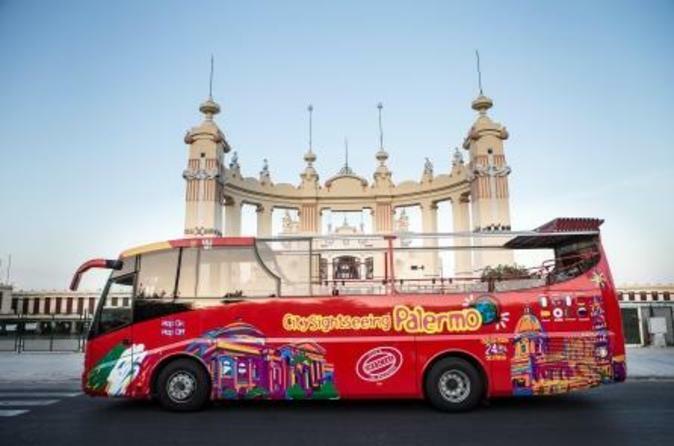 Head into the city to see all of Palermo’s top attractions on a convenient hop-on hop-off bus tour! Admire the Politeama Theatre, overlooking Politeama Square, and drive by the Massimo Theatre, one of the biggest and most famous opera houses in Italy. Explore the glorious buildings of the Cathedral Monreale, admire the wonderful mosaics in the Cappella Palatina and more. 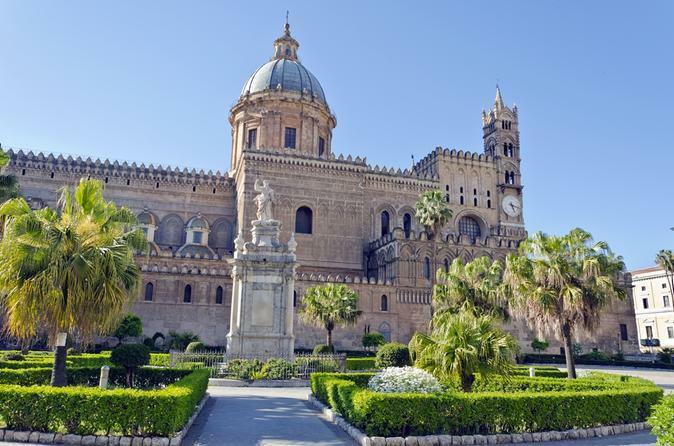 With a Hop-on Hop-off tour of Palermo, you will enjoy an exciting visit to the city. 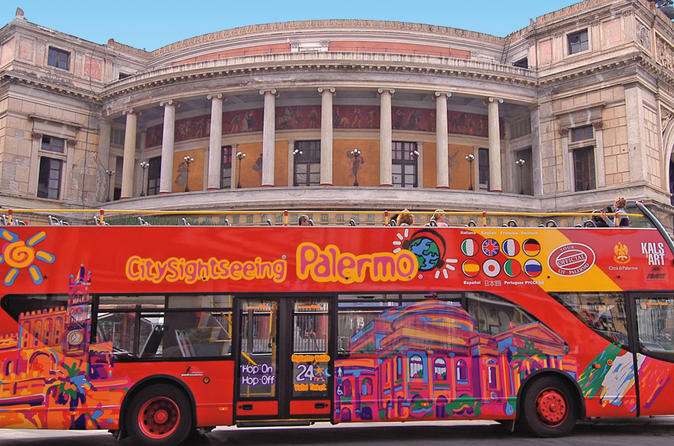 Starting from the terminal outside the Politeama Theatre, overlooking the square of the same name, you will drive in front of the Massimo Theatre one of the most capacious and famous opera house in Italy. Admire the glorious buildings of the Cathedral Monreale or the wonderful mosaics in the Cappella Palatina. Leave Palermo behind for a day trip to Agrigento, home to Sicily’s most fascinating archaeological area. Visit the Archaeological Museum of Agrigento, where an extensive collection of artifacts offers insight into the splendors of the ancient Greek colony of Akragas, which once stood on this site. Continue your education at the UNESCO World Heritage-listed Valley of the Temples, home to an expansive array of Greek ruins. Stroll through the archaeological complex and view a series of impressive Doric temples. 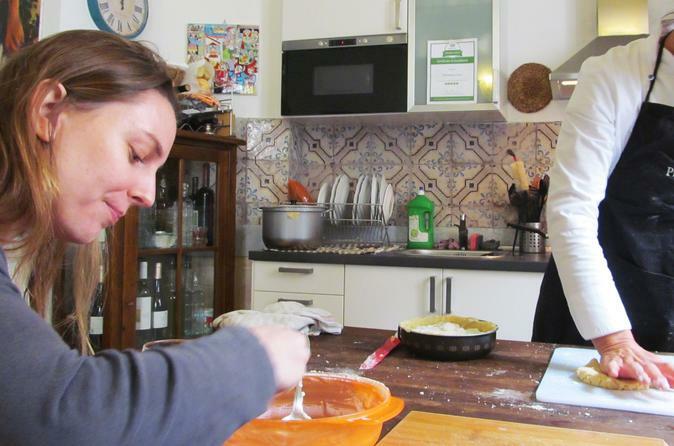 This Palermo cooking class is not only a fun and valuable cooking experience but also a fascinating journey through Sicilian food and culture. Taking place in one of the most beautiful Palermo historic building, meet your Sicilian cook in the morning in order to go together to buy food in a local market. Once the shopping is done, it is time to go home and start cooking together. Prepare 4 dishes (a complete truly Sicilian menu) while drinking local Sicilian wines and discovering more about this beautiful region. 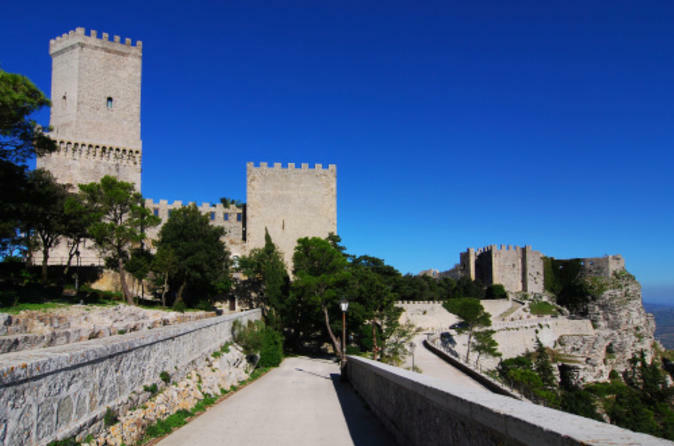 Discover three of the most beautiful sites of Western Sicily: Segesta, Nubia and the Salt Pans in Trapani and the Mediavial hill-top town of Erice. 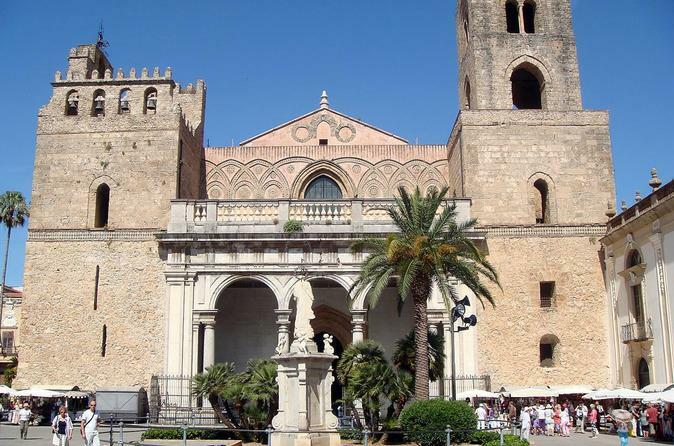 Visit the Duomo of Monreale and the beautiful town of Cefalù, where you will see the Medieval lavatory, Mandralisca Museum and the historical center. 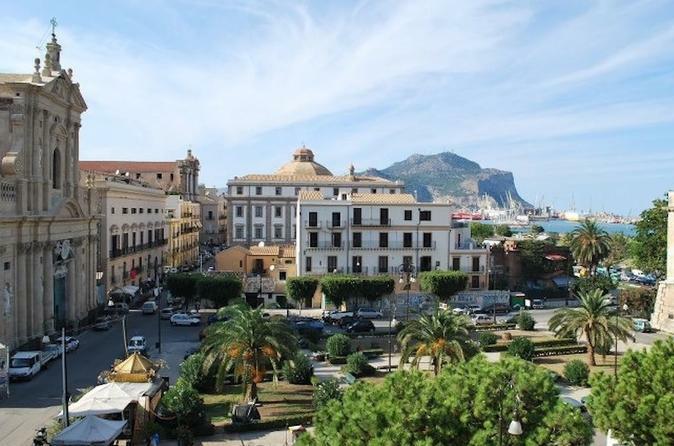 See the best of Palermo on a 3-hour city tour by Segway! While gliding around its vibrant streets, learn all about the city from a local expert guide, who will tell you tales old and news, including facts about King Charles V’s time in the town. Pass Capos Market and Palermo’s Gallery of Modern Art; see a wealth of Baroque, Arab-Norman and Neo-Classical architecture; and discover some fine-looking city parks, too. Starting in Palermo and ending in Taormina, this 5-day tour shows you the best of eastern Sicily. 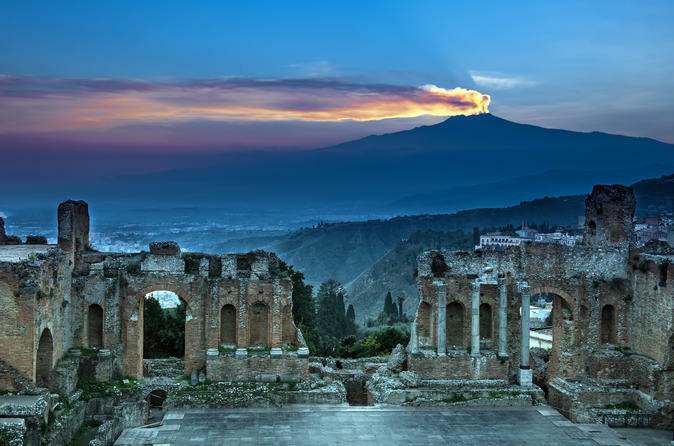 Immerse yourself in Sicilian history, culture and food as you travel to Taormina, Syracuse and Mount Etna for guided tours and activities. 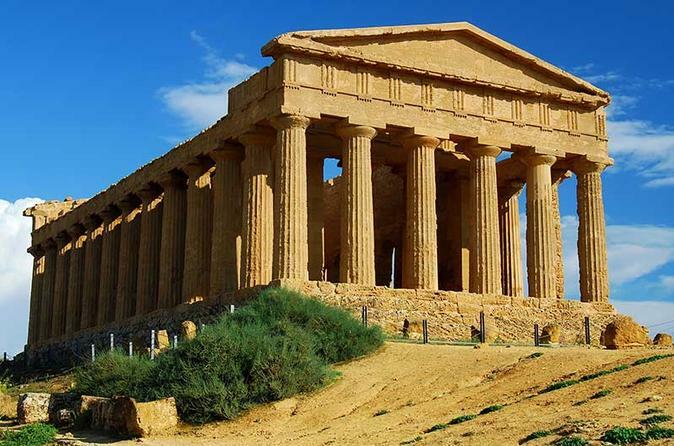 Enjoy sweeping views from Mt Etna, explore ancient Greek and Roman sites in Syracuse, see locations where 'The Godfather' was filmed, and admire several spectacular temples in Agrigento’s UNESCO World Heritage-listed Valley of the Temples. Visit Europe’s tallest active volcano, Mt Etna, and the charming Sicilian resort town of Taormina on this day trip from Cefalu. Enjoy a scenic drive up the UNESCO World Heritage-listed volcano and take an optional cable car and jeep ride to the summit's smoking craters. Then spend the afternoon exploring Taormina, Sicily’s most popular summer destination known for its unspoiled natural beauty and incredible ancient Greek theater overlooking the Gulf of Naxos. 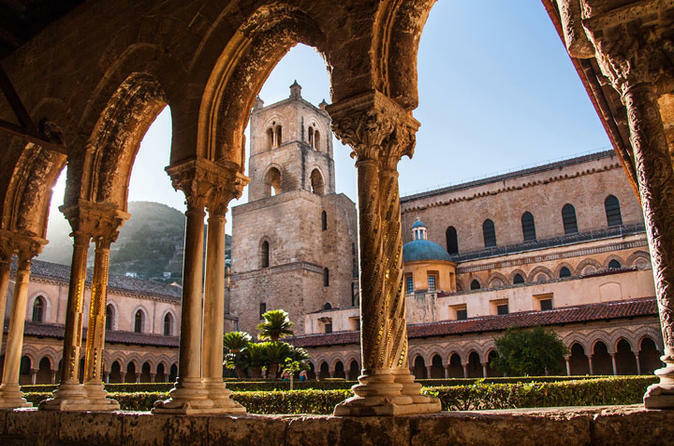 See the sights of the Sicilian capital and the hilltop town of Monreale with a local guide. 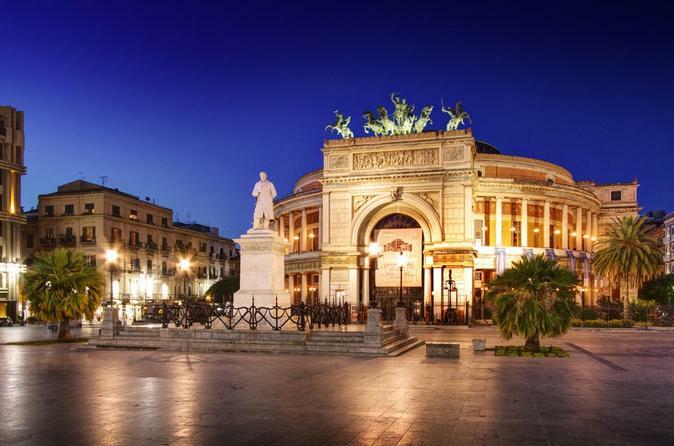 The 7-hour tour starts with a walk around Palermo Old Town to discover the history behind beautiful theaters such as Teatro Massimo and the royal palace: Palazzo dei Normanni. After admiring Palermo’s landmarks, head up to Monreale for views over the city, and then visit its dazzling, mosaic-bedecked cathedral. Entrance fees to monuments are at your own expense. Immerse yourself in ancient Sicilian history with a visit to Agrigento’s Valley of the Kings. 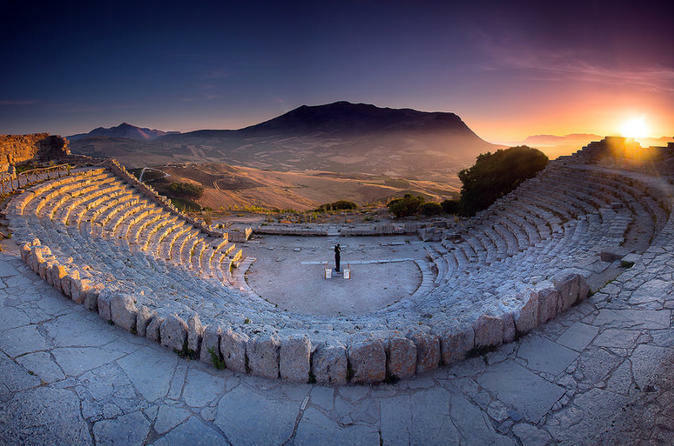 The day trip from Palermo includes a knowledgeable guide at the UNESCO-listed archaeological site. 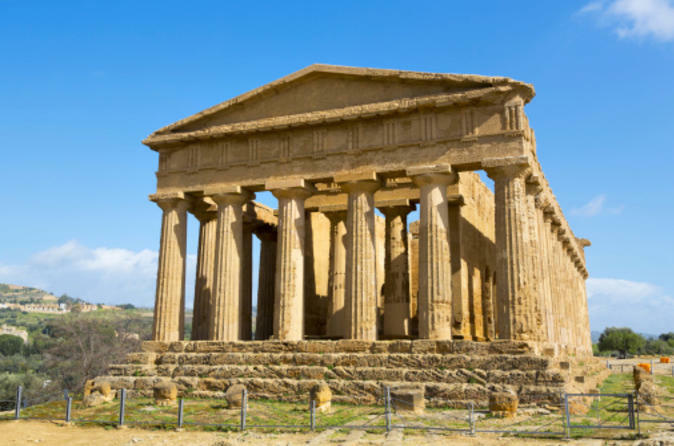 Hear tales of the Carthaginians and Romans as they battled for power of the city, and see prehistoric artifacts inside Agrigento Archaeological Museum. Entrance fees are at your own expense. Come and taste the best wines and Sicilian cheeses, introduced by an expert of wines and typical local products. Meet at the time more convenient for you and then start discovering the wonderful world of Sicilian wines in an historic Palermo's building (built in the XVII century). Accompanied by fantastic cheeses and local products, relax and learn more about the beautiful Isle of Sicily and its typical grapes. 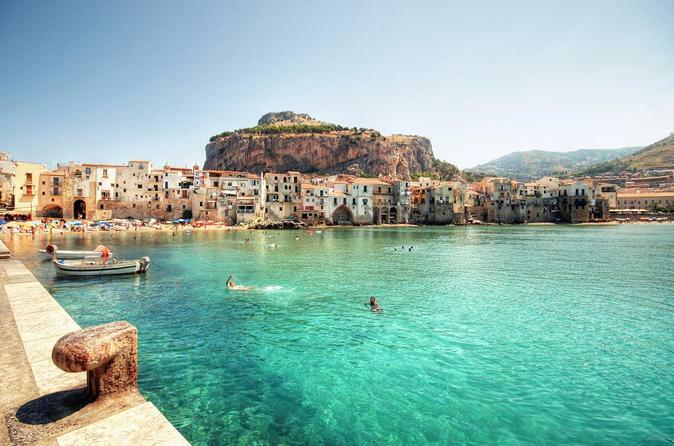 The medieval town of Cefalù is about one hour from Palermo, along the North coast of Sicily. Enjoy a change of scenery on this day trip from the Tyrrhenian coastal town of Cefalu, just east of Palermo, to the rugged Madonie mountain countryside. 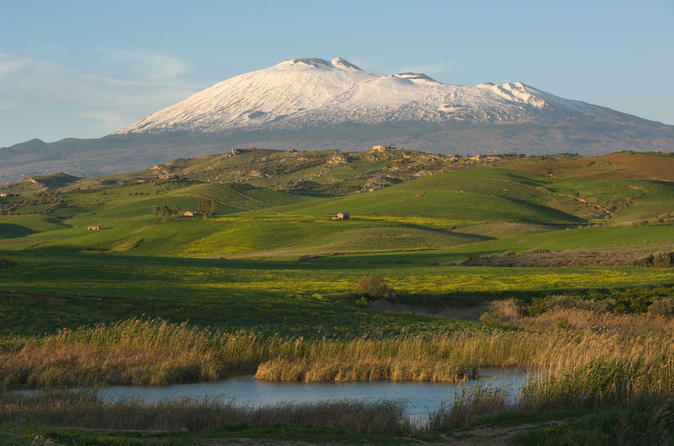 Experience the rural lifestyle of northern Sicily as you explore medieval villages, admire the idyllic green hills of Madonie Regional Natural Park and visit a dairy farm for a fresh ricotta cheese tasting. End with a traditional Sicilian lunch in the fresh mountain air. 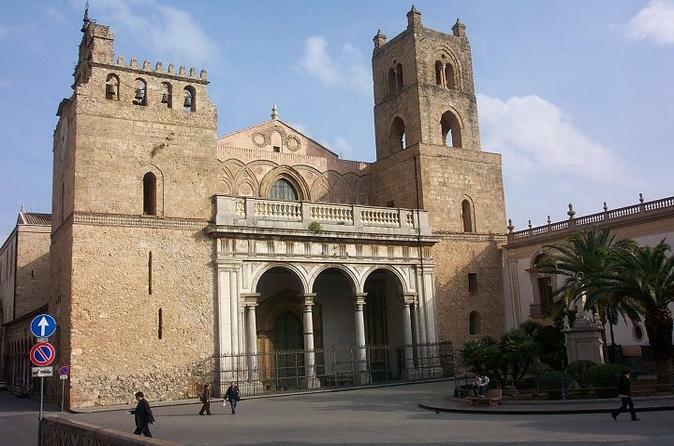 Visit the Catacombs of the Capuchin friars and the Cathedral of Monreale on the slopes of Mount Caputo. You'll visit the underground cemetery of the Capuchin monks and go on a journey back in time and space to a world that, despite its state of decay, is absolutely charming, mysterious and fascinating. Embark on a relaxing 3-hour walk through the main squares, markets and monuments of the city center. Taste the best Palermitan Street food for the full experience. 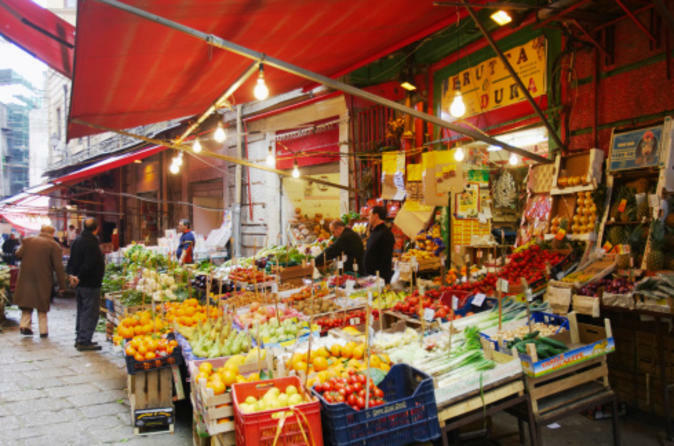 This tour is a perfect combination of food, art, history and culture. 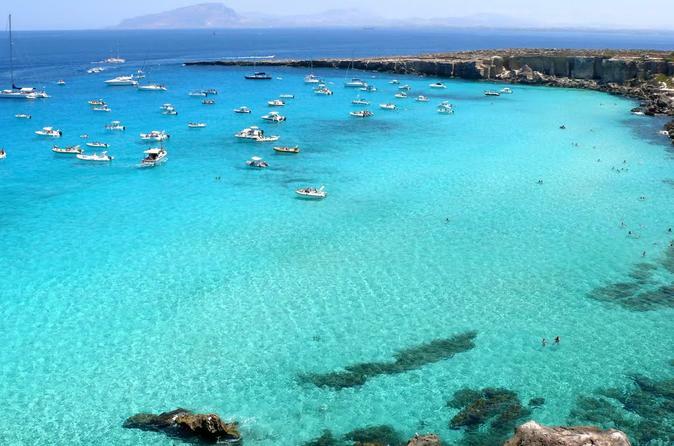 Discover the Islands of Sicily on a 12-hour day trip to Favignana and Levanzo. Departing from Palermo, discover more about the Egadi, a group of 3 small islands (Favignana, Marettimo and Levanzo) off the north-west coast of Sicily. 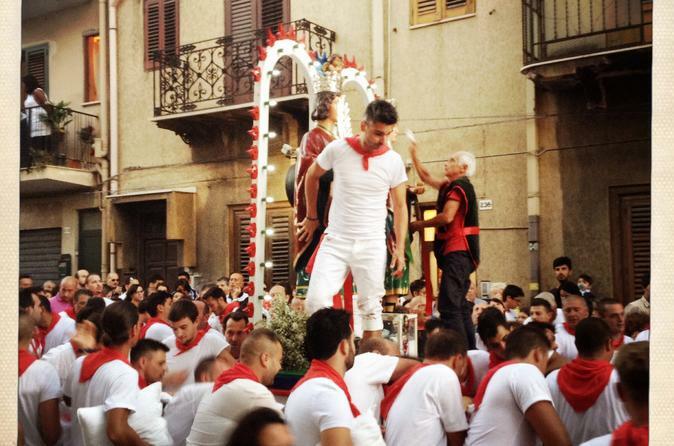 Medieval mafia, saints and sinners: the characters of Palermo have always been a colorful bunch. Hear stories about the individuals who left their mark on the city, and explore Mercato di Capo, Piazza Beati Paoli, Cathedral Square and more on this small-group walking tour. Sample a glass of 'zibibbo' sparkling wine in an old tavern as you chat about Palermo’s legends with a local guide. Numbers are limited to 12 for a more personalized experience. This day tour from Palermo will give you the opportunity to visit the Roman Villa del Casale in the territory of Piazza Armerina. 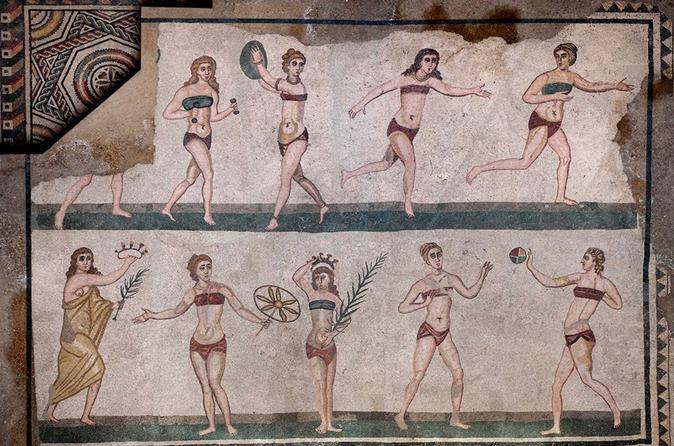 The Villa is famous for its Roman Mosaics and included in the Unesco World Heritage sites. 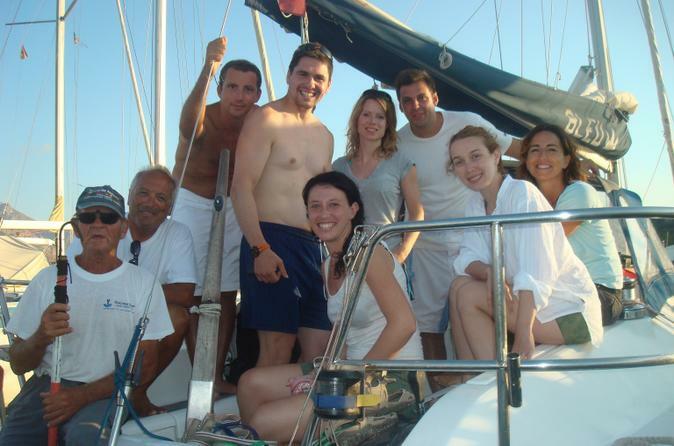 See Palermo landmarks including Monte Pellegrino mount and Mondello beach during this 4-hours sailing tour. Enjoy the warm sea breeze and treat yourself with a typical Sicilian aperitivo. 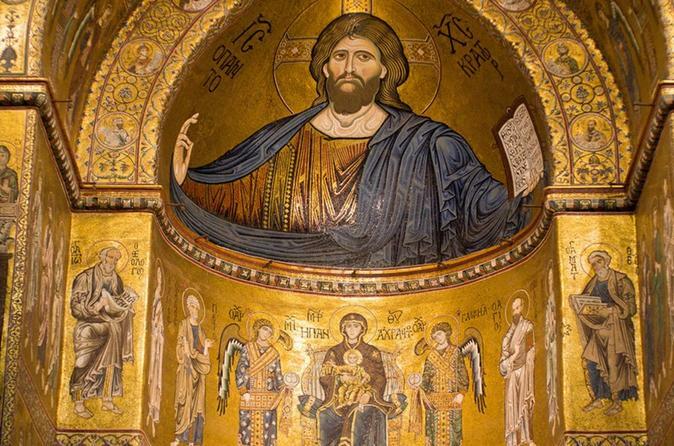 This tour will give you the opportunity to visit Monreale's cathedral, world renowned for Arab-Norman golden mosaics and included in the Unesco World heritage sites. 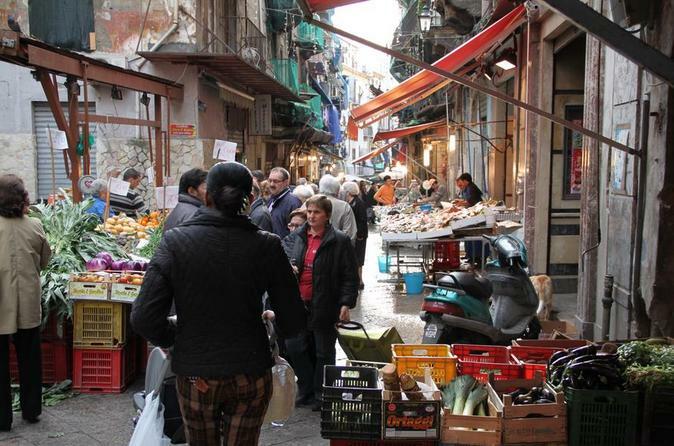 A walking tour of Palermo city center will then show you monuments of very different age and style and a lively 1000 years old open air market, where you will have the opportunity to taste typical local products. This tour will be operated as half day tour from Palermo on Mondays. 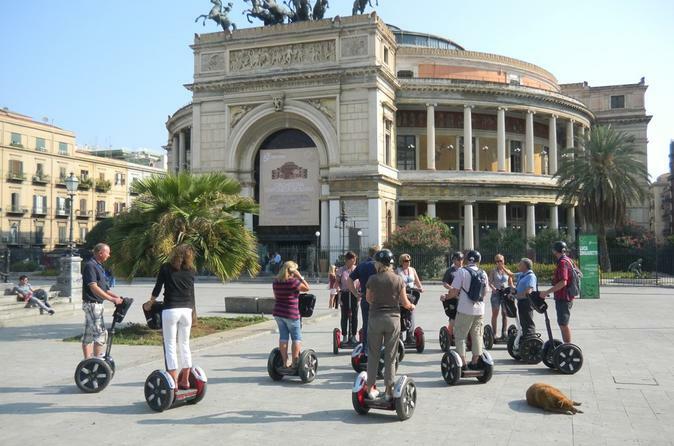 When your cruise ship docks at Palermo Port, head out to explore on a 3-hour city tour by Segway! On a self-balancing, electric Segway, glide around Palermo’s vibrant streets and learn all about the city from a local expert guide. Hear tales of old and new, including facts about King Charles V’s time in the town. Pass Capos Market and Palermo’s Gallery of Modern Art; see a wealth of Baroque, Arab-Norman and Neo-Classical architecture; and discover some fine-looking city parks, too. 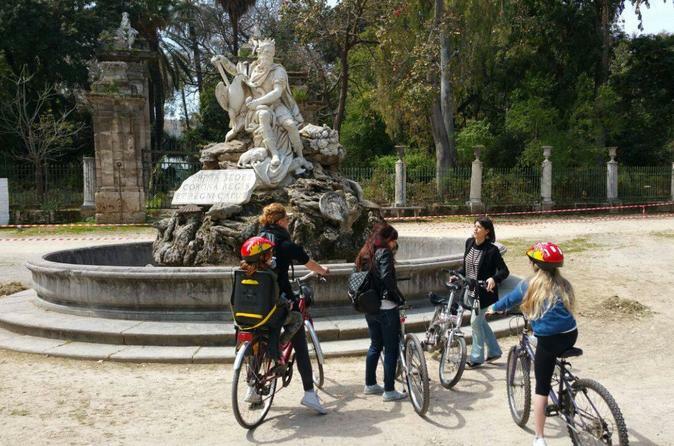 Experience an amazing bike tour across the main squares and street markets of the city center that allows you to discover Palermo off the beaten paths. The Cathedral and the Cloister of Monreale were part of a self-sufficient and fortified complex on the slopes of Mount Caputo. Visit the Cathedral of Monreale, once part of a self-sufficient, fortified complex that included a Royal Palace, an Episcopate and an abbey. Situated on the slopes of Mount Caputo, the complex of Monreale was surrounded by crenellated walls interspersed with defensive towers and embellished with geometric marquetry that could be seen from the Conca d'Oro below. 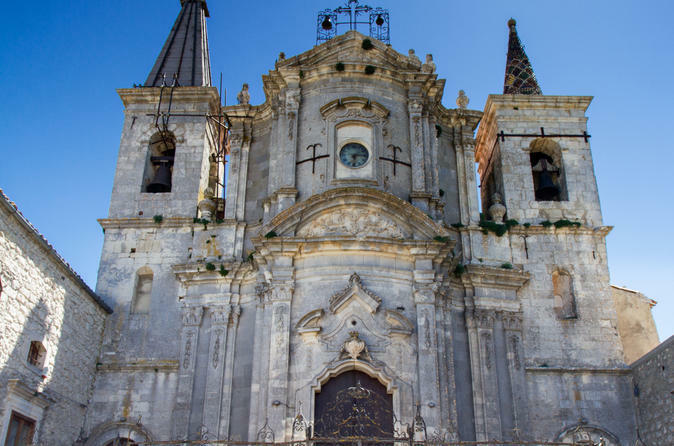 Explore Cefalù, Corleone, and Santo Stefano di Camastra on this 8-hour self-guided day trip from Palermo. 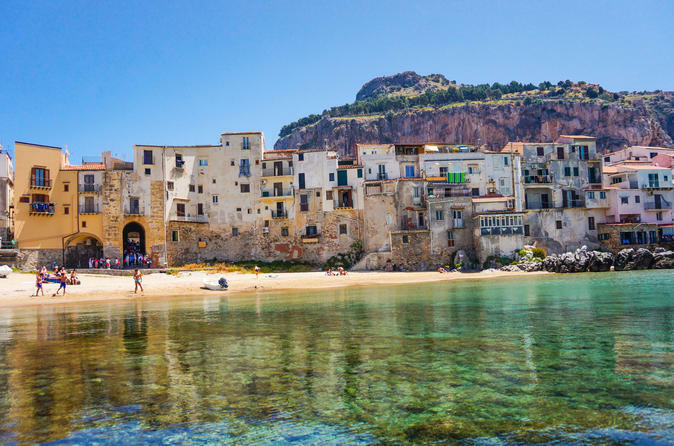 Despite the small size of Cefalù, it attracts millions of tourists every year from all parts of Sicily, Italy, and Europe. There is a youthful atmosphere and a lively nightlife. Parts of 'The Godfather' movies were filmed in the village of Corleone. A walking tour of about 4 hours to discover Sferracavallo, the westernmost village of Palermo that keeps alive its original identity, place of fishermen and marine reserves, picturesque processions and ancient traditions. Embark on a unique experience starting with a walk through the most famous and evocative seaside village in the Palermo area. 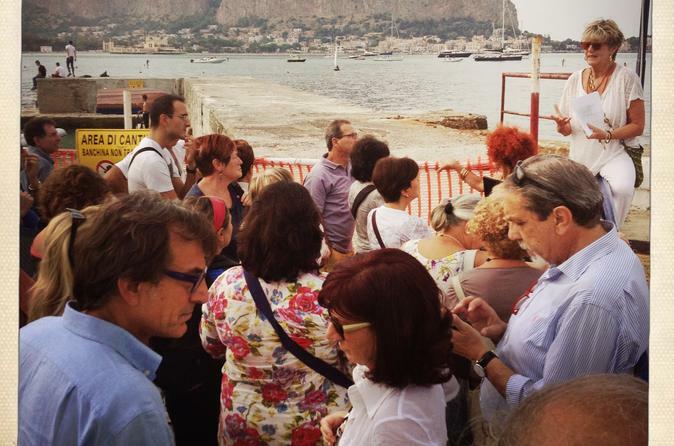 Accompanied by a local guide, see the elegant Mondello boulevards and, at the end of the tour, follow the guide to her beautiful liberty villa for dinner. 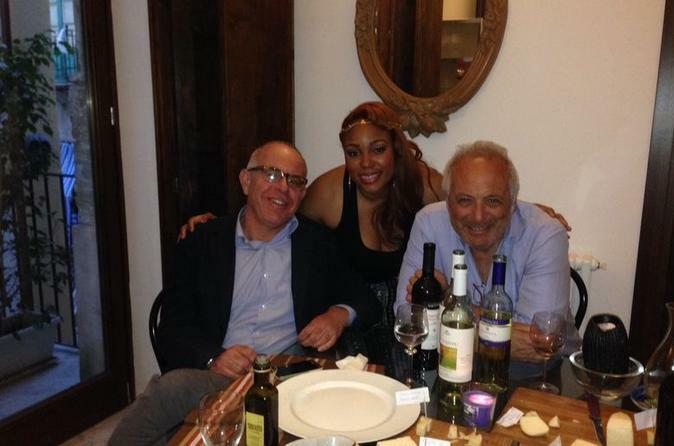 Live authentic Italian moments and experiences. 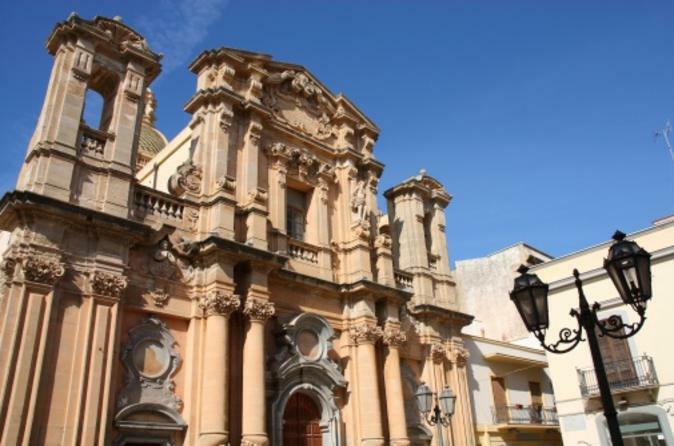 Discover Palermo and the fascinating Kalsa district with a local professional guide.